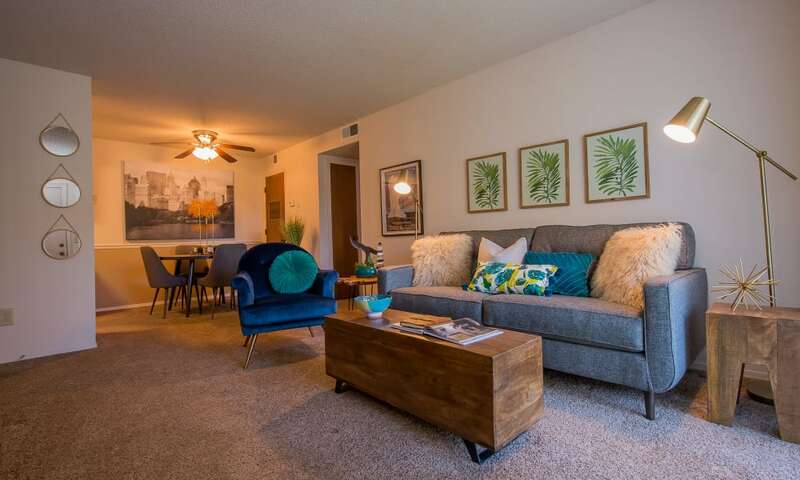 Vibrant living in a pet-friendly apartment community is waiting for you at Silver Springs Apartments in Wichita, KS. Your new home offers onsite amenities made for every day of the year, like an adjacent 10-acre lake with hiking trails and an indoor swimming pool with flowing water features, skylights, and a sundeck. 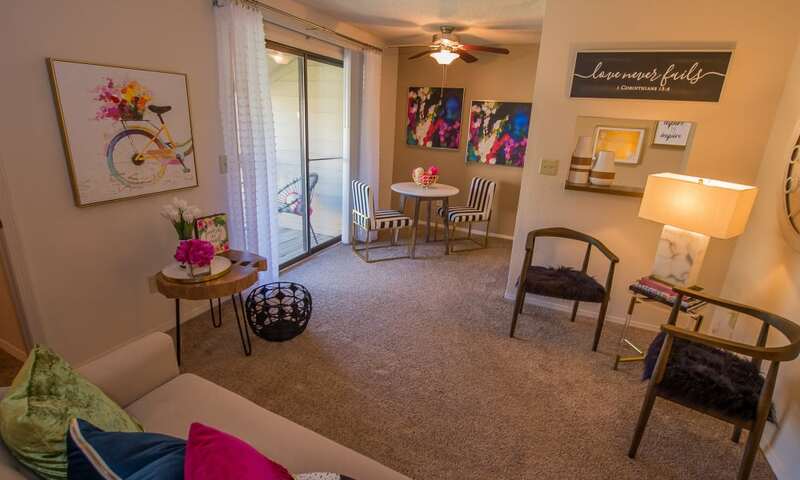 Your private patio or balcony is the perfect place to enjoy serene outdoor time, while your spacious apartment is the peaceful retreat you want at the end of a long day. 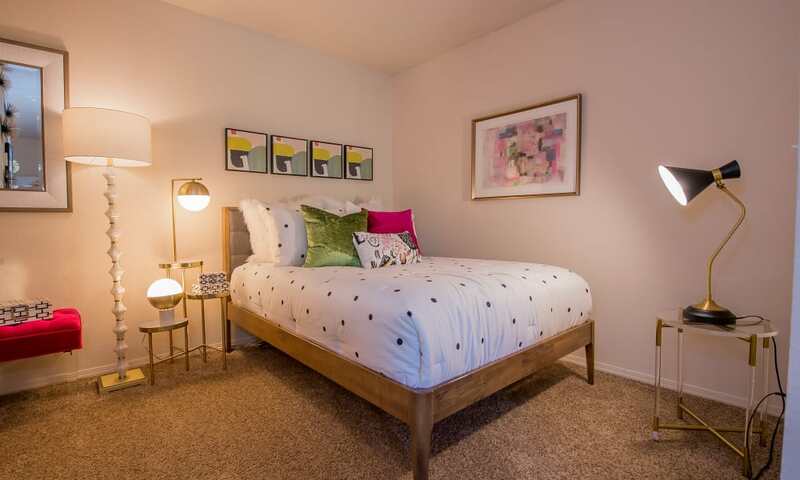 Explore our studio, one, and two bedroom layouts. 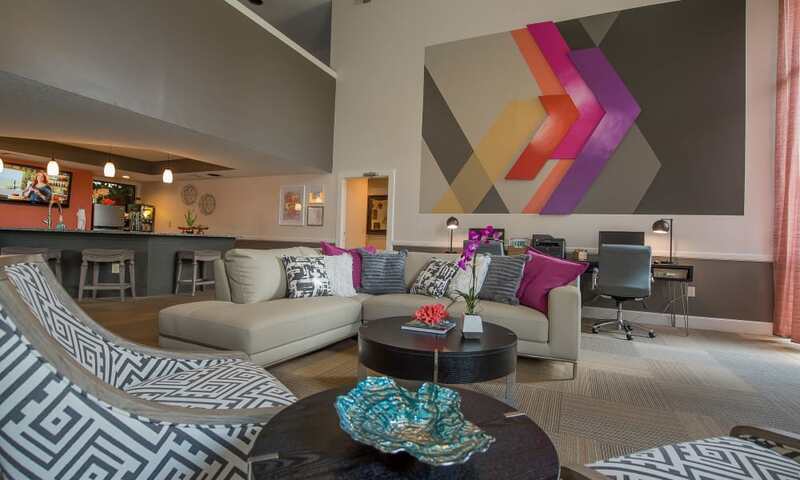 Get an idea of what life is like in our pet-friendly community. Live only moments from the neighborhood’s top attractions. 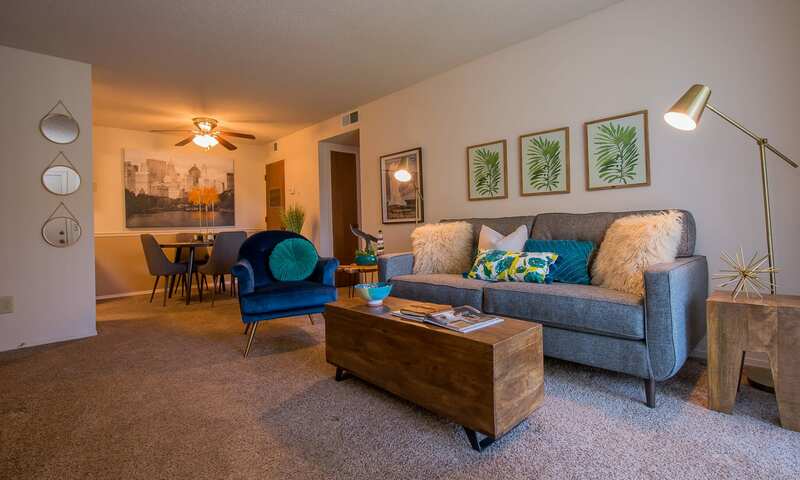 You can choose the floor plan that best suits your needs for space and style thanks to our studio, one bedroom, and two bedroom apartments for rent in Wichita. 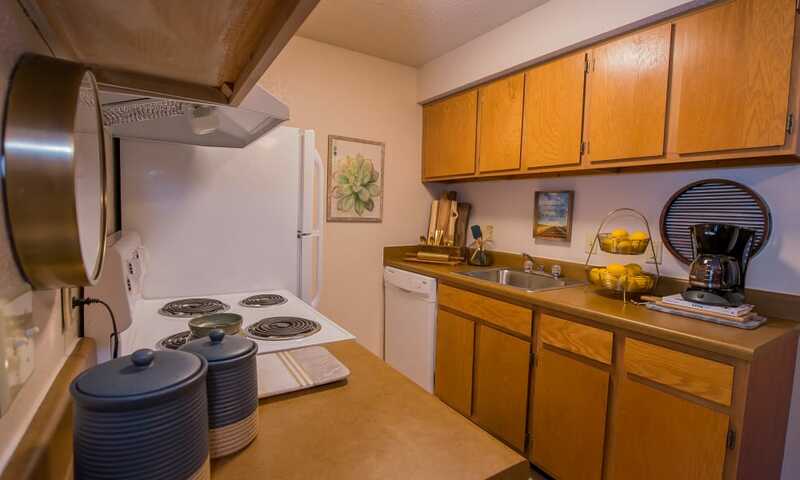 No matter which layout you choose, you will enjoy the convenience and ease of a fully equipped kitchen with refrigerator, dishwasher, and garbage disposal. 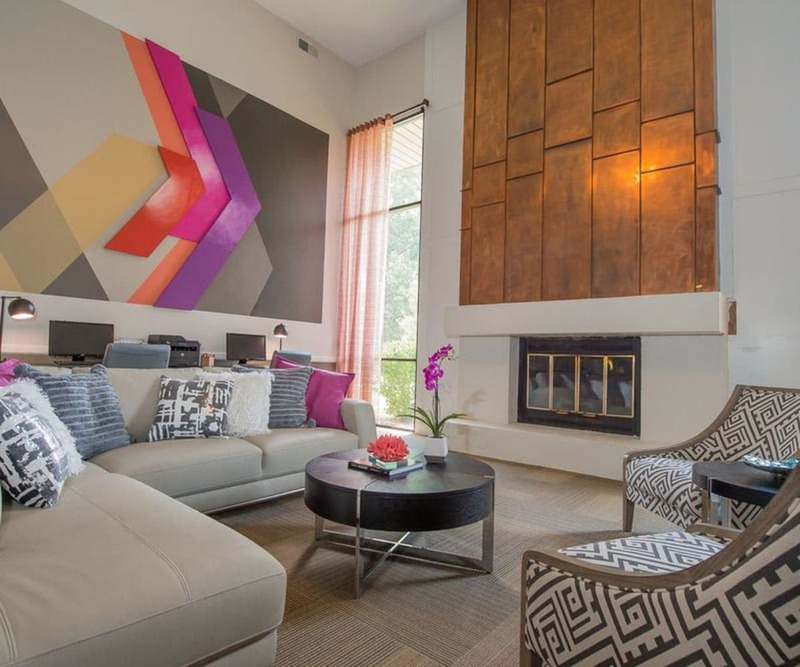 Select homes also offer stylish and practical extras, like a wood-burning fireplace that’s perfect for cozy nights at home. Each day is a new opportunity to live your best life at Silver Springs Apartments. Whether it’s lounging around the tropical-style, indoor swimming pool or hitting the trails surrounding the 10-acre lake, you will find a space for optimal recreation and relaxation only steps from your front door, including an outdoor barbecue station with community grills and picnic area. 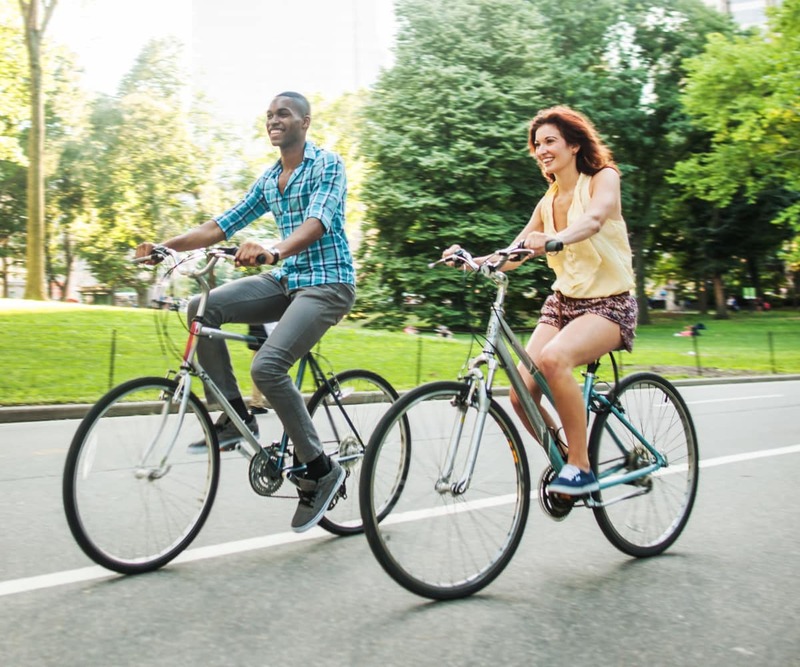 Everything you need in a neighborhood is only moments from home when you choose Silver Springs Apartments near Orchard Park, like restaurants, shopping malls, grocery stores, parks, and more. 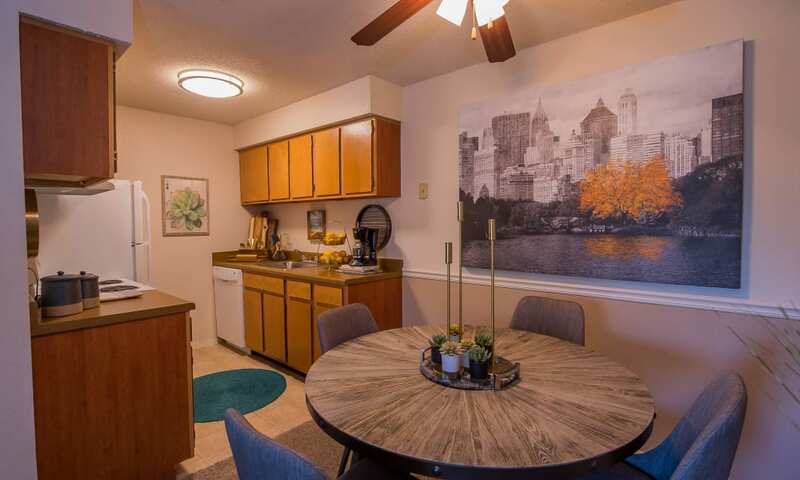 Your new apartment home in Northwest Wichita, KS, keeps you close to the area’s largest employers, including Cessna and Learjet. Come for a tour to learn more about life in our community. Schedule your visit today or ask us about discounts for employees of these companies.